The Organo(Thailand) ’employer training on safety and environment . Ion Exchange Resins (IER) have been employed in the sugar refinery process for the purpose of decolorization and demineralization (deashing) of sugar liquor. Compared to the remelting of white sugar, higher decolorization rate and extremely high sugar yield can be obtained by the direct demineralization of clear liquor or fine liquor. 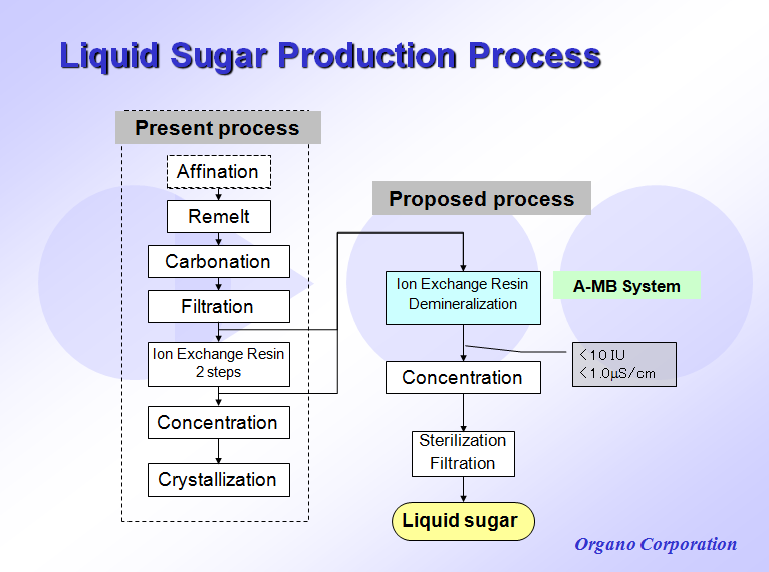 Organo has developed an efficient IER system the “SUPER FINE LIQUOR SYSTEM” (A-MB system), which consists of an anion exchange resin tower and a mixed bed tower of anion exchange resin and cation exchange resins. 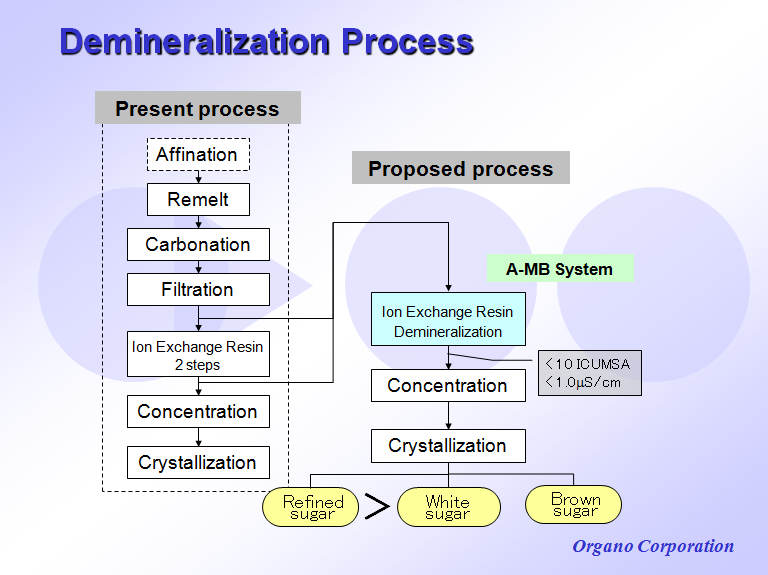 This system has been applied to many sugar refinery factories in Japan and has an excellent reputation for the high quality.